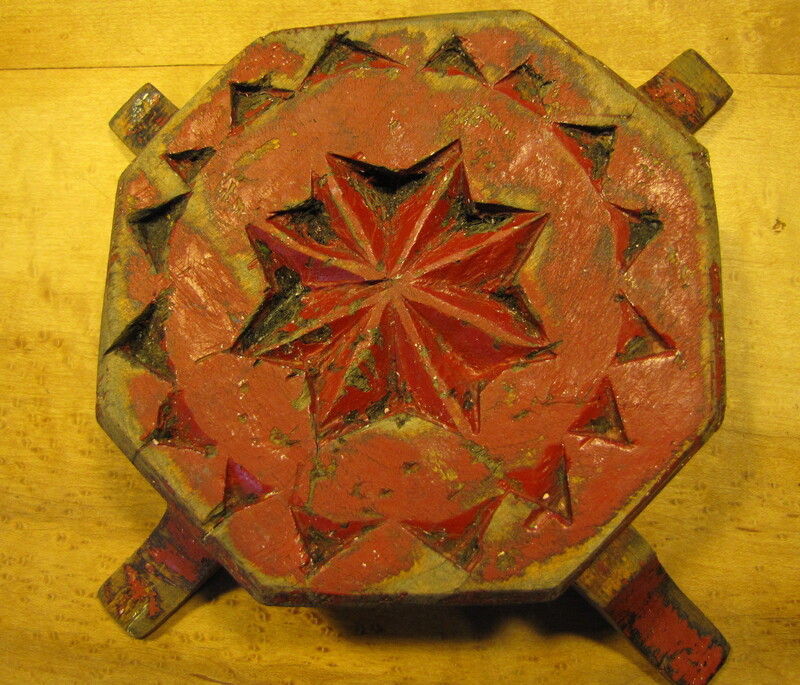 Collectivator :: Wooden trivet, Mahone Bay, N. S.
SOLD Wooden Trivet, Mahone Bay, N. S.
A carved wooden trivet from Mahone Bay, Nova Scotia. 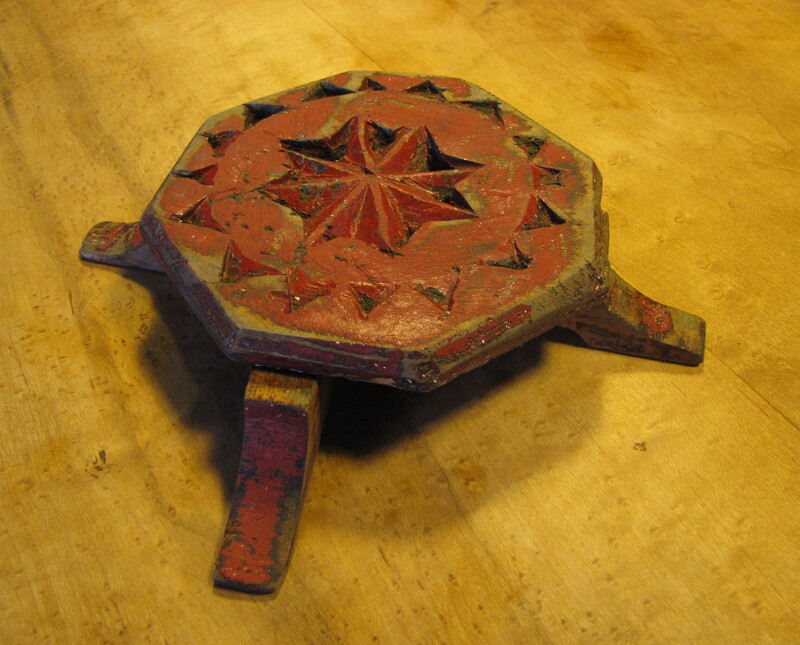 The top is chip carved and in original red paint. It measures 5 1/2" square. 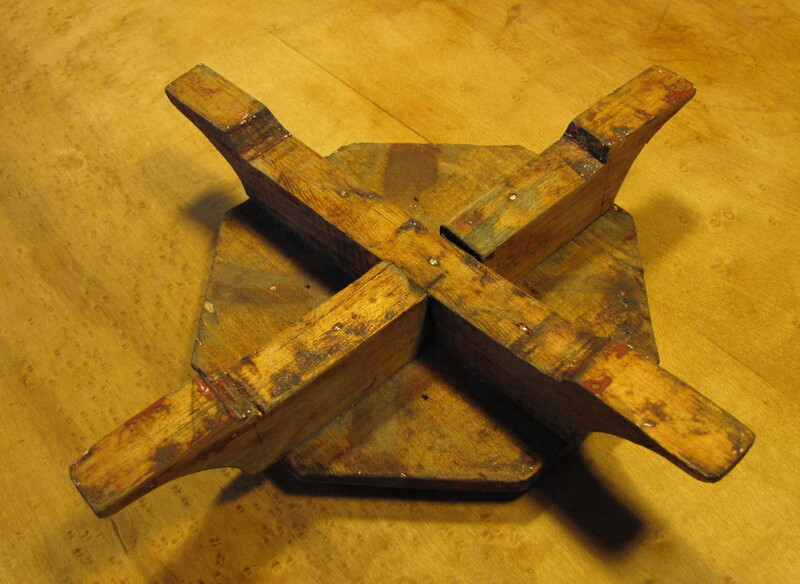 The legs are also painted red and have been installed slightly off centre. Funky but who knows why. 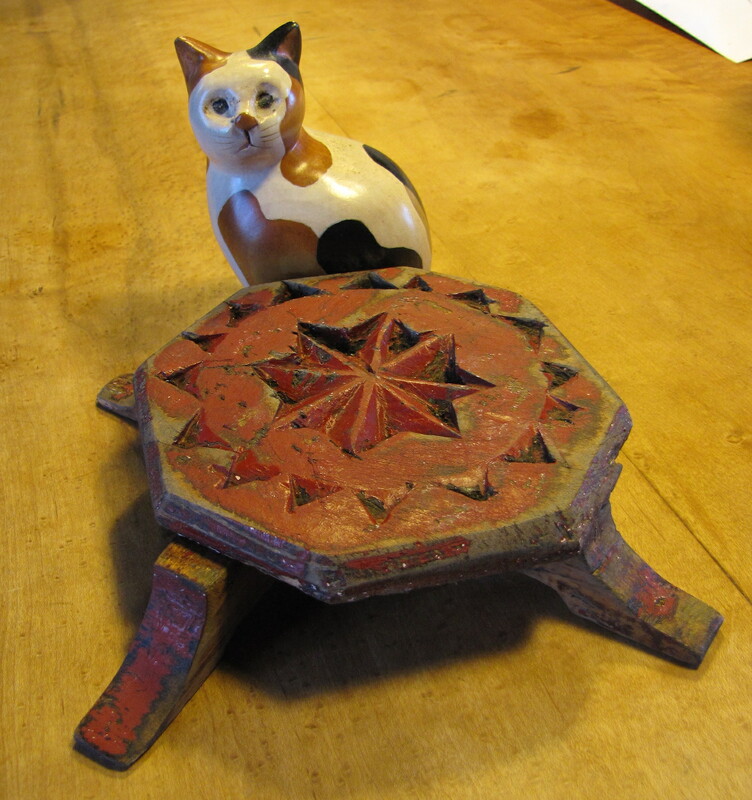 Wooden trivets are unusual and it has a great look and colour.